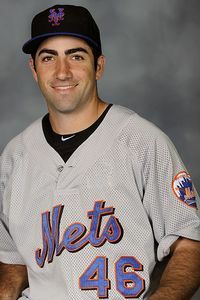 Josh Satin, the organizational minor league player of the year for the Mets, is out with the Venezuelan winter league club Leones del Caracas, team president Luis Avila announced. Playing for the team managed by Tim Teufel, Satin was hitting .146 with two homers and three RBIs through 14 games, although he did have a .407 on-base percentage. Satin had been in the midst of a 1-for-26 rut for Caracas. He was playing nearly exclusively in left field, which was a learning experience, since he previously had entirely played in the infield during his professional career. Satin misread a liner in the 12th inning Saturday against Magallanes that affected the game's outcome. The Magallanes-Caracas rivalry is the equivalent of Yankees-Red Sox for that country. Satin is due to return to the United States on Tuesday, Avila indicated.